Delivered via social media channels. Implementing an inbound marketing plan can have a major effect on the growth of your small business but it can also be a drain on an already overwhelmed small business owner. 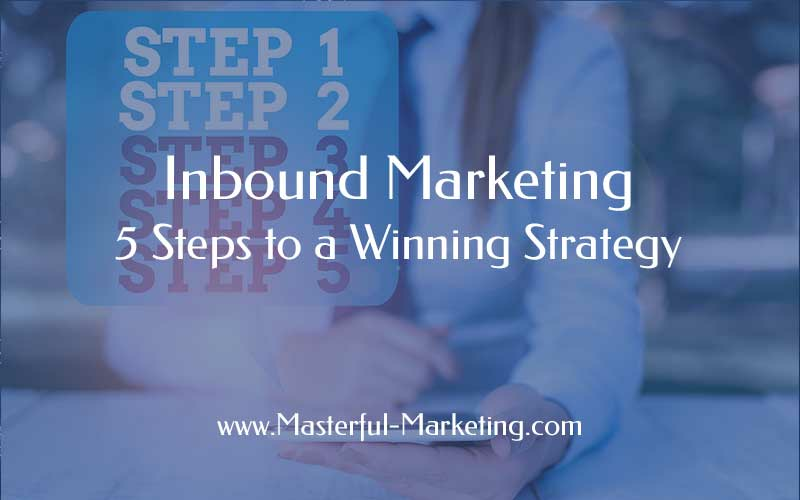 Then you can choose the right inbound marketing activities that will achieve your marketing goals. Consult with an inbound marketing resource to understand what features, landing pages and calls to action your website needs to support your marketing efforts. Providing the content your audience wants and needs increases your visibility and makes you a credible expert. First you need to understand what your ideal client is looking for. If they are they trying to solve a problem, can you create content that offers tips, tricks and advice in your blog or as an eBook? If they are interested in learning new things, can you offer self study courses, webinars or podcasts that help educate them on this topic? If you focus your content on the topics that will interest your target audience, your content will be naturally optimized. Do take advantage of the WordPress SEO plugin for your blog to ensure stronger optimization. Not a great writer? Search Elance for bloggers who are familiar with your topic and can do the writing. Or have someone interview and record your conversation and then transcribe it into a blog post. All you have to do is edit, optimize, add an image and publish. Implementing a strategy for curating content allows you to provide a service by organizing content into a format that enables them to quickly scan. This shows that you understand what is interesting and valuable to your audience, increasing your credibility and positioning you as a hub of information. Part of this activity can be outsourced to a virtual assistant or handled by your office manager. Let them scour the Internet for useful content and organize it for easy consumption. Now you can take a few minutes to select and share the right content with your audience. This is where you engage with your audience and develop relationships. Before people will do business with you, they need to get to know, like and trust you. You are the only one who can project your personality into your social media activity. You can have someone that monitors the social sites for you but you should not let them impersonate you on your profiles. Be authentic. Be yourself. The point of inbound marketing is to drive visitors to your website where you can educate, capture leads and convert them into customers. Once you have their permission, continue to provide valuable content that is helpful to them. Building relationships with those who give you their valuable contact information is the first priority. Developing your system can include activities that are outsourced so you can reduce your time and focus on running your business. Writing, curating and optimizing content can be done by someone else as long as you stay involved. Just remember that you do need to be present to build relationships and interact with people who are interested in your services. How do you simplify your inbound marketing activities? Content Strategy vs. Content Marketing - Do You Need Both? Both All in One SEO and WordPress SEO plugins are effective when set up. However, I find WordPress SEO more effective for my clients who need the guidance it gives on each page and post.